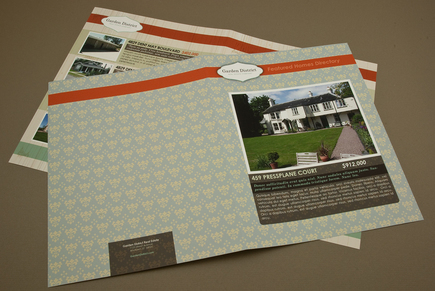 A real estate company can utilize this newsletter to showcase available and featured properties. The interior has space for 8 listings, including photo, address, price, and description. The light decorative background pattern gives this newsletter a touch of elegance.